He explained that with the emergence of new innovative technologies in the financial sector, is taking us into a new chapter of economic history. More so, Chris said that investors should take care when putting their resources on cryptocurrency coins or tokens sold with the claim that they can purchase goods, services, or platform access in the future. The CFTC Chair also disclosed that his agency is collaborating with other financial regulators to aggressively apprehend and prosecute cryptocurrency criminals. “There’s a lot of coordination going on,” Giancarlo noted. Furthermore, he also revealed that at the moment, he doesn’t know when the federal cryptocurrency task force led by the Treasury Department will issue a report. Chris Giancarlo also proposed six guiding elements for the CFTC on cryptocurrency products which include: Strong enforcement, Staff competency, Consumer education, S. interagency cooperation Exercise of authority and Heightened review of virtual currency product self-certifications. More recently, the CFTC released an advisory guidance to clearinghouses and exchanges for listing virtual currency derivative products. The guidance covered five major areas including, enhanced market surveillance, risk management and governance, close coordination with CFTC staff, large trader reporting, and outreach to member and market participants. 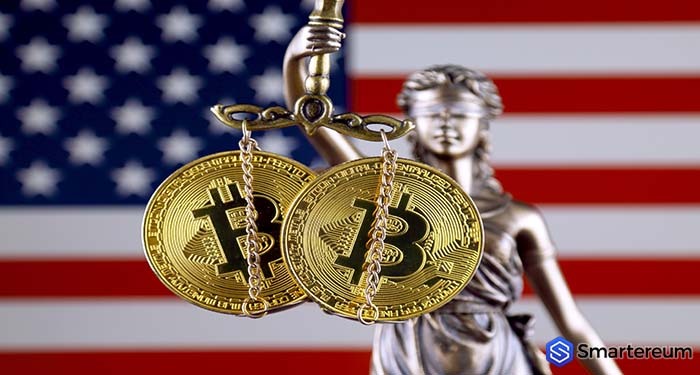 The CFTC has also shown its determination to tackle cryptocurrency cases under its purview. In one case in March, the regulator obtained a favorable ruling against crypto trading scheme, CabbageTech.